‘A Brief History of Time: From Big Bang to Black Holes’ poses some interesting and unanswered questions, like if there had been any beginning of time or if time can run backwards or if there is any boundary to the universe itself. Stephen Hawking, the great scientist and theoretical physicist, tries to answer it all by drawing theories of the entire cosmos from Albert Einstein to Newton. In doing so, he also sheds considerable light on the dark secrets that still reside at the heart of time and space. 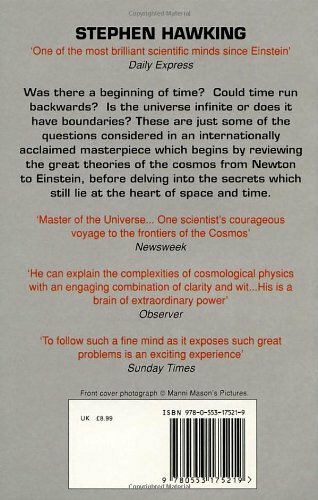 This book takes the readers on a journey into the depth of cosmos right from the big bang theory, through the nature of forces and the world of string theory in physics, to the different forces that constitute the universe itself, summed up as the theory of everything. Although a seemingly huge subject, Hawking tickles the mind of the inquisitive readers through his simple yet eloquent language of physics and mathematics and has even the non-scientific reader get attracted to the enormous universe and working of the cosmos. 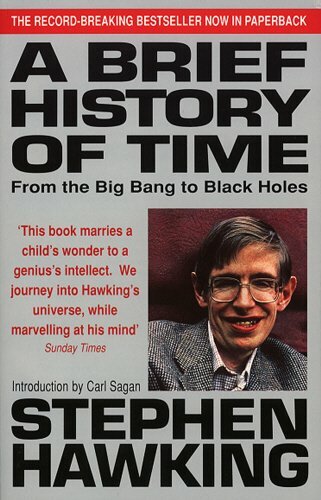 By drawing analogies of Copernicus, Sagan, Kepler and Einstein, among others, who unfurled the science of universe to the common people, Stephen Hawking has yet managed to bring important topics wormholes and black holes into the discussion of common people. Stephen Hawking: An English cosmologist, theoretical physicist, author as well as the Director of Research at the Centre for Theoretical Cosmology under the University of Cambridge, Stephen Hawking is a scholar with more than a dozen of honorary degrees. In was in 1963 that Stephen Hawking contracted a rare motor neuron disorder which gave him just two years to live, yet he went to Cambridge to become what he is today.